For the past few years, my quest as been to make the best cupcake KNOWN to MANKIND…bar none, hands down! It happened to me during the cupcake craze that swept the nation. In fact, I had intended to post a “cupcake of the month” here after my Orange Blossom Cupcakes, but only managed to add one other recipe for Harvest Pumpkin Cupcakes. 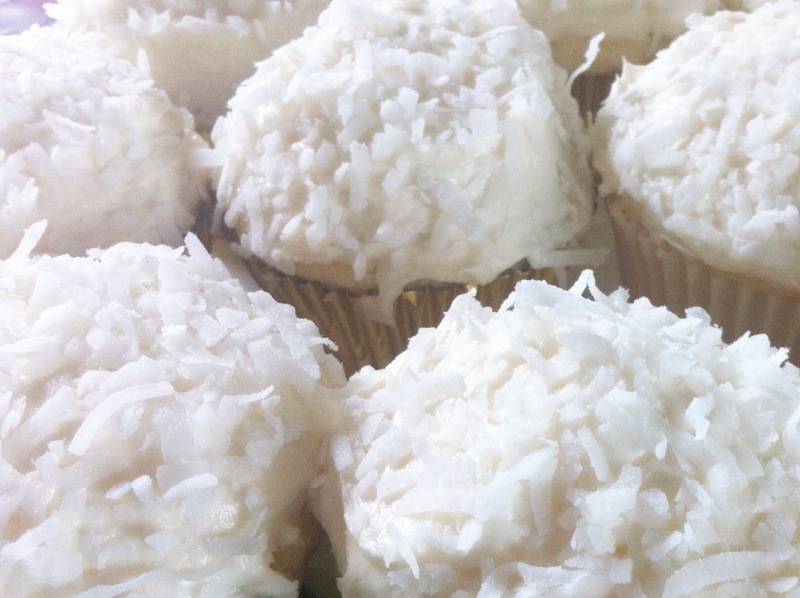 Back in 2010, I began testing coconut cupcakes for my sister, Suzy because she LOVES coconut cake. Seriously loves it…almost as much as her dogs, but not quite! Since then, life got a bit more complicated and I stopped testing recipes for awhile. With the first batch I presented to them, I almost made it. One friend said the cake was better, but alas their frosting had her vote. With a little coercing due to a slight memory deficiency on her part, I was able to bring the other friend over to my cupcake. And then it happened. 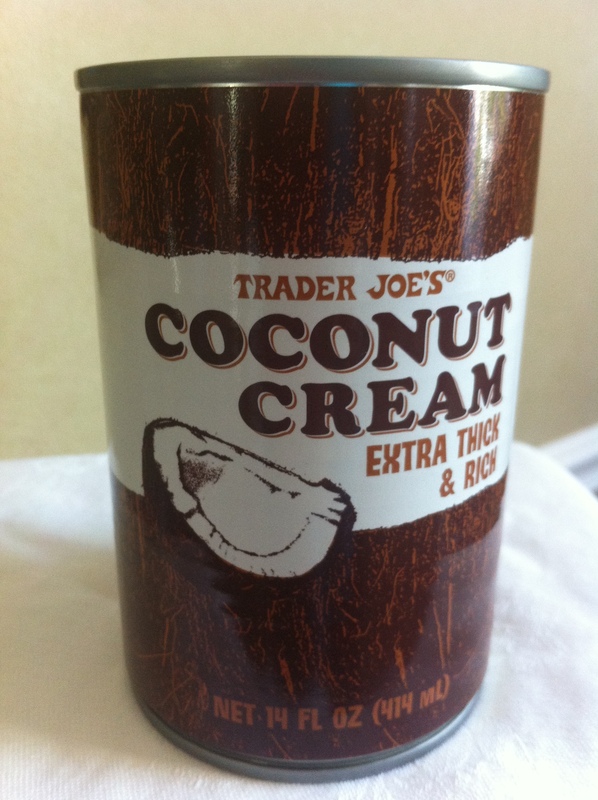 Another friend told me about this amazing stuff called “coconut cream” which comes in a brown can and is available at Trader Joes. I used this in the cupcakes and frosting, had my two friends over and guess what?? They both loved my cupcakes more than the ones from the restaurant! I’m not kidding and all because of a little coconut cream! So see what you think and feel free to give me your feedback. I’m not giving up on my dream: moist, nice dome on top, creamy delicious frosting, melt in your mouth, best thing you ever tasted cupcakes…yep, that’s the plan. Preheat oven to 350º. Place papers into cupcake pan. Bring butter, eggs and milk to room temperature. Sift flour, baking powder and salt into a bowl; stir to combine with a wire whisk; set aside. 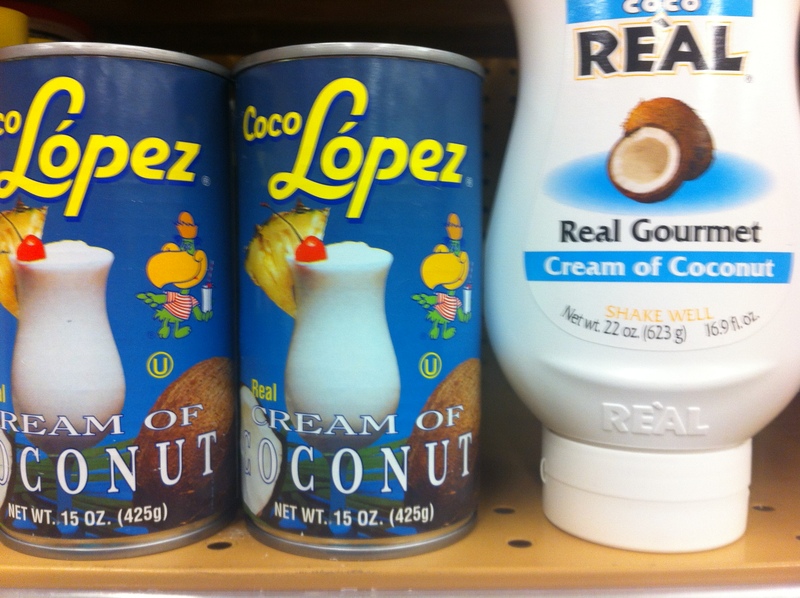 Combine milk and coconut cream; stir and set aside. Cream butter for 2 minutes; add sugar and continue creaming until light and fluffy, about 2 more minutes. Add eggs, one at a time, mixing to combine after each. Add vanilla and mix in. Add dry ingredients in 3 parts alternating with wet ingredients in 2 parts. Mix between additions until just combined, scraping down sides of the bowl with a rubber spatula. Be careful not to over-mix as this makes the batter dense and tough. Using an ice-scream scoop, spoon a level amount of batter into cupcake papers. Bake for 15-16 minutes or until cupcakes bounce back when tapped. I found that 16 minutes was perfect! Cream butter until smooth. Add coconut extract and mix. Add powdered sugar 1 cup at a time, mixing after each addition. Add coconut milk to desired consistency. Frost with a rounded top, sprinkle with coconut and enjoy! *Open a can of coconut cream, use some for this recipe and whip up the rest with a little powdered sugar to put on top of fruit! Oh yes, that is heaven right there. If you can’t get to Trader Joes (634 East 400 South, Salt Lake City, UT 84102), Smiths and Walmart have some “Cream of Coconut” that should work as well although I haven’t tested it. **If you prefer toasted coconut, place 1/2 cup in a 350º oven, on a small cookie sheet or pie tin. Spread out evenly and bake for 5-10 minutes, stirring every minute until toasted evenly. Oh such a cute story! I can’t wait to taste them. I guess the best thing would be to feed my dogs a coconut cupcake and then I would love them the most. Until they pooped…. These are a wonderful idea for Father’s Day. I’m So excited to try making these Mom!